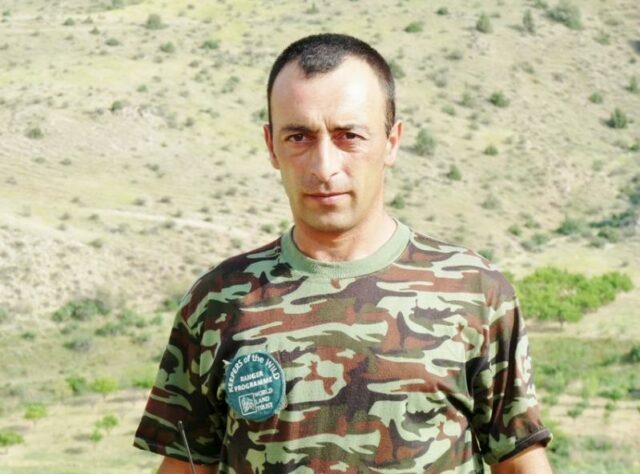 Gor Hovhannisyan is a wildlife ranger supported by World Land Trust‘s (WLT) Keepers of the Wild programme. He is employed by WLT’s conservation partner in Armenia, the Foundation for the Preservation of Wildlife and Cultural Assets (FPWC) and he works in the Caucasus Wildlife Refuge. I live in the village of Urtsadzor, which is 10 minutes by car from the ranger’s station in the Caucasus Wildlife Refuge. I start work round 8:00am, sometimes earlier; it depends on the work I have to do which differs every day. Sometimes we finish early in the afternoon; sometimes I stay until midnight or even overnight. My work involves quite a lot of driving: I bring the other rangers to work, and patrol our area by car. It’s also my job to maintain the vehicle. If somebody enters the reserve without permission I have to intervene or try to prevent them from entering in the first place. As we do most of our patrols either by car or on horseback, I do not walk much on a daily basis but on some occasions I have walked up to 10km. 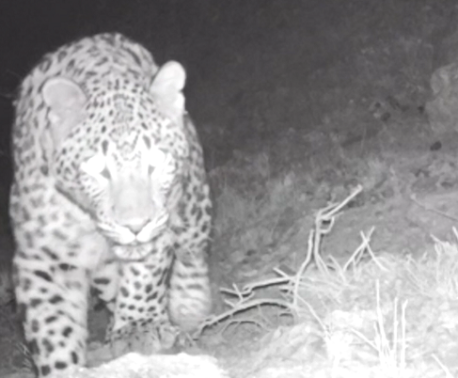 I monitor wildlife on the reserve and help place and check camera-traps. We have spotted Bezoar Goats, bears, wild boars, foxes, eagles and vultures with binoculars and cameras. 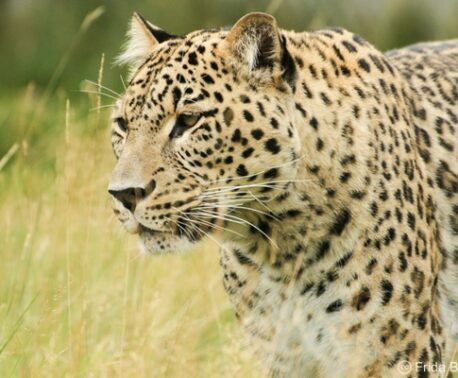 Once we even saw the Caucasian Leopard footprints. The area we patrol is more than 4,900 acres (2,000 hectares) and we have plans to extend the reserve. The terrain is rocky, and consists mainly of grassland rather than forest. The vegetation is mostly juniper trees and wild pear trees, as well as several types of shrub and herbs. During the course of the year, we experience four very different seasons. Summers are very hot and dry with temperatures of 35°C (or higher, in the lower parts of the reserve). In winter we have snow up to a depth of 40cm. At altitudes above 1,600m the snow sometimes prevents us from patrolling the reserve by car. I take care of the horses and I accompany visitors that tour the reserve on horseback. I enjoy pointing out our flora and fauna to all visitors (villagers, tourists and children from our Eco Club). To me, it is very important to make everyone aware of the beauty and uniqueness of Armenia’s wildlife. Visitors really enjoy the diversity. Some places in the world have just one interesting plant or animal. But here every grass, every tree, every animal is special and together they are unique. And we have activities to suit all visitors: bird watching, hiking and riding. As a result of Armenia’s difficult economic situation in the 1990s, people began illegally cutting down trees, hunting wild and rare animals, and dumping rubbish. Although things are slightly better now, I still believe it is important to show everyone who comes to our reserve how fragile nature has become and how urgently we need to change our behaviour in order to save it. This account is based on an interview with Gor carried out by Barbara Seibert of FPWC. Gor doesn’t speak English and we are grateful to Barbara for providing an English translation of the interview. WLT’s mission is to protect the world’s most biodiverse habitats by purchasing land for conservation in partnership with overseas conservation organisations. But land protection doesn’t stop once the land is purchased: it is an ongoing process and requires dedicated staff. Gor’s story is typical of WLT’s other Keepers of the Wild and demonstrates the important and multifaceted role that rangers play. You can help support Gor and other rangers working on reserves created by WLT by donating to Keepers of the Wild.